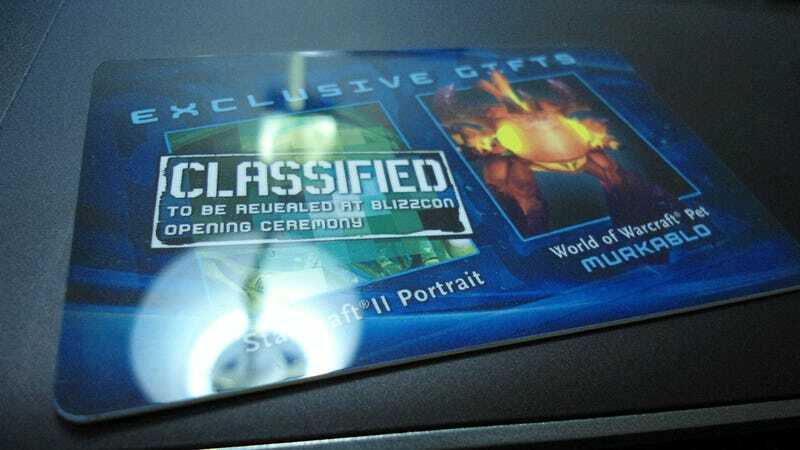 Half the joy of attending Blizzard's yearly celebration of all things Blizzard is opening up the sack of goodies they give you at registration and splaying them over your hotel room desk like a kid at Christmas. This year we might have to keep the jubilation to a dull roar; the mini Archangel of Justice is watching. Mini Tyrael isn't quite so mini, but I suppose compared to the real thing he's a bit on the short side. Diablo's Archangel of Justice is indeed far less threatening in this form. You almost want to hug him. Oh screw it, I'mma hug him. Ouch. He's a bit pointy. Check out the gallery for more shots of Tyrael, Mega Bloks Thrall, and whatever else Blizzard had laying around, and stay tuned all weekend for more from BlizzCon 2011, starting with tomorrow morning's opening ceremonies and continuing until my laptop runs out of virtual ink. Here's the full haul, complete with my official BlizzCon 2011 press pass, which does not get me past the tiny security lady in the lobby so I can take photos of what's for sale this year. She is my nemesis. Sideshow Collectibles presents: a fancy box. Sideshow Collectibles presents: the back of that fancy box. The desk guy at my hotel stopped me as I came in this evening to look at the box. Apparently he went to BlizzCon last year and the year before but couldn't make it this time around. Poor guy. 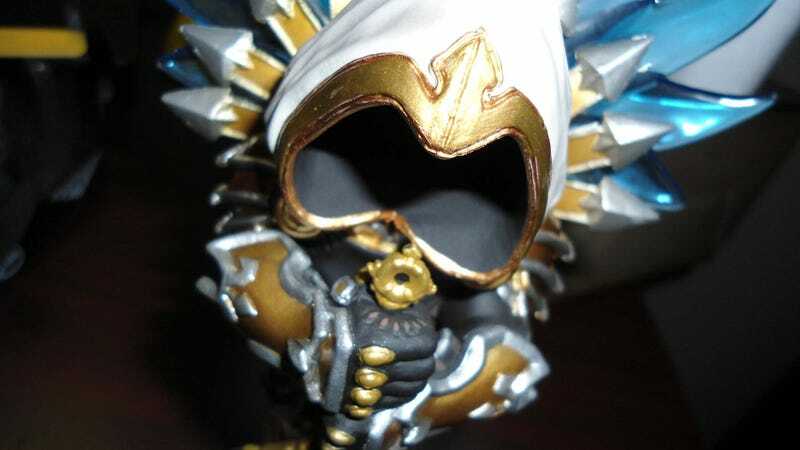 Mini Tyrael comes in three pieces, packed in stylish styrofoam. Fully assembled, Tyrael floats above the base, using his sword to balance. The clear blue wings are clear blue easily one of his most impressive features. And so does Mini Thrall, the Mega Bloks exclusive I mentioned the other day. He comes in a special fold-out box that I shall put in a desk drawer. Years from now I will pull it out and go, "Huh." The world needs more Battle.Net Authenticators. Random junk, including a couple of contest items from NVIDIA and SteelSeries that require attendees to stand in ridiculously long lines for a chance to be disappointed. Some sort of card thing that I am too hungry to open. Almost pizza time. Codes! Grant me Murkablo and a StarCraft II Portrait I could care less about!